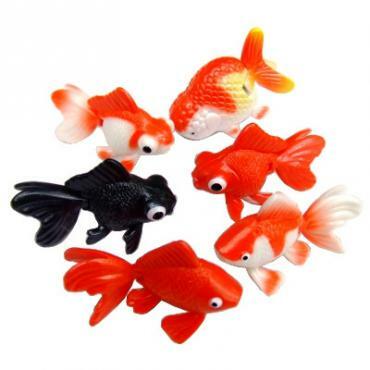 The most realistic Kigyo Sukui goldfish! When you're playing Kingyo sukui, or goldfish scooping, what could be better than totally realistic fish. 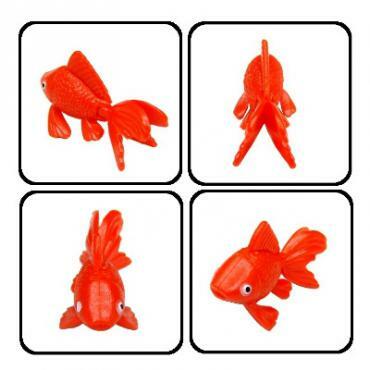 With six variations you have all the most popular varieties of goldfish, and these fish even have hinged tails that move in the water just like the real thing. Kingyo sukui is a favorite activity at festivals across Japan. 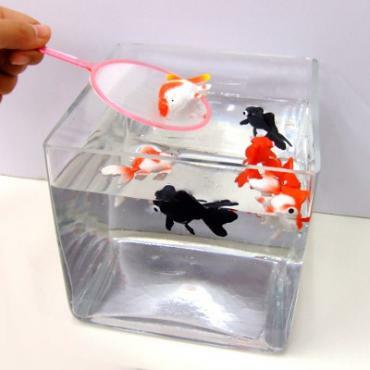 Scoop up a goldfish with the scoop and it's yours! Trickier than it looks, the scoops have thin sheets of paper that easily break. You can choose different thicknesses of paper to make the more more challenging, or easier for younger kids. This type is a little heavier and more lifelike than the rubber models that we sell, so you should choose your paper/scoops accordingly.